Another Shocking incident of using a torch light , even a mobile flash do the Sterilisation!!! The sterilisation operation as done with torchlight and mobile light. 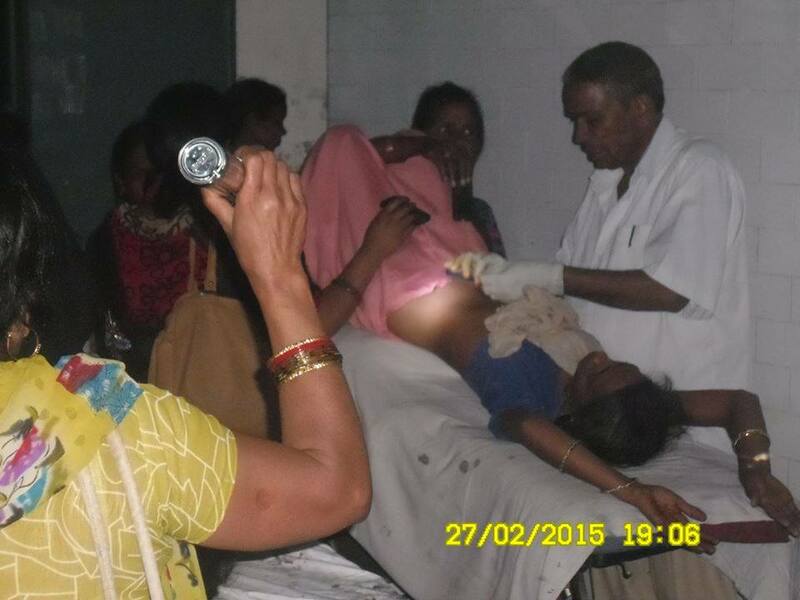 Just a few months ago, In Chhattisgarh ddozens of women after sterilization lost their lives . Claiming to provide adequate health department on Friday Martinganj Azamgarh district in the four-hour operation, 60 women did. The hospital was not lit in the evening and thet doctors surgery started on mobile light . Martinganj district sterilization camp was held on Friday in the block. 60 women had registered for the sterilization cap . A team of doctors led by Dr S P Tiwari arrived at 3.30 p.m. Martinganj block operation began after 8 pm the night . There was no provision in the light of the hospital. The evening came for sterilization of women highlighted the torch and mobile operation, then the doctor. The Department of Health is beating Didora of adequate sterilization camp. When he spoke to Martinganj medical charge DHANNANJAY Singh said the electric power was being uSed to cool the mobile vaccines. and the present time there is no light. Later, IT will be restored. Under the Central National Rural Health Plan all the health centers have been equipped with all facilities including electricity . Yet women’s lives are at stake physician and administrator. The four and half hour operation is life threatening for the women. The most important thing is that the hospital is not adequate beds. The medical team was so fast that he made a sterilization just 45 minutes. A vasectomy camp was organised at the hospital, where 45 women were operated. It exposed the reality of medical facilities in Mulayam Singh Yadav’s constituency. Medical superintendent, Dr Amita Agrawal said that there were only eight beds in the hospital and expressed inability to provide bed to these women.